Home / Computers/technology / News / Cifu: Designed To Deliver! With all the hype around delivery drones at the moment, it is an exciting space to keep an eye on. 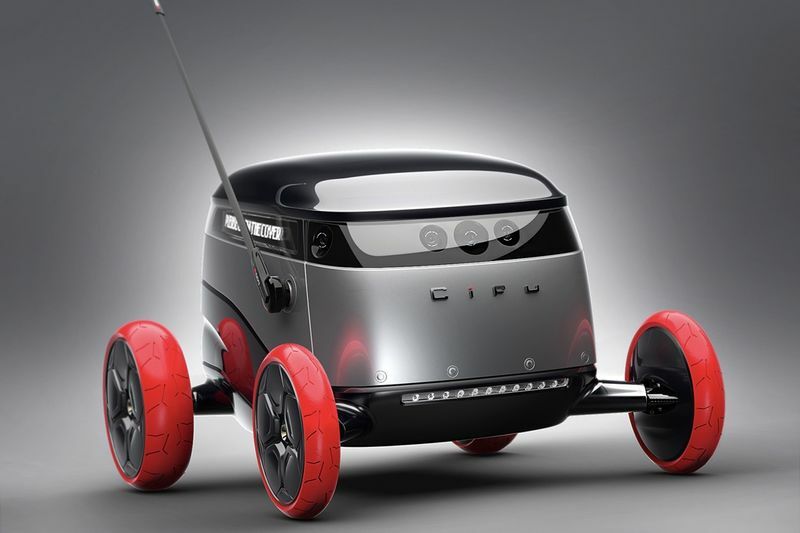 Recently there was the German postal company Deutsche Post that adopt the PostBOT delivery assistant and people all across the globe will definitely embrace the Cifu; the urban delivery drone designed by industrial designer Matteo Gentile. Packed full of sensors and designed to tackle anything in its way, the Cifu is an aesthetically pleasing drone from any angle. Given its curvaceous design of the drone's name, it is hard to not see similarity towards the design language with the SMEG home appliances. The Cifu was carefully thought out and configures a smartly layered effect of features, broken up by different materials and colours. The bottom of the delivery drone consists of LED lighting strips and four reinforced aero wheels while the battery pack is then located on the undercarriage. The central grey section contains the antenna and also proximity sensors located on the front of the drone. The top section is the most excitable one at that, housing the front cameras as well as the rear camera, the side message screen and the clean open/close cover of the drone itself. Check out the gallery and let us have your thoughts in the comments below.